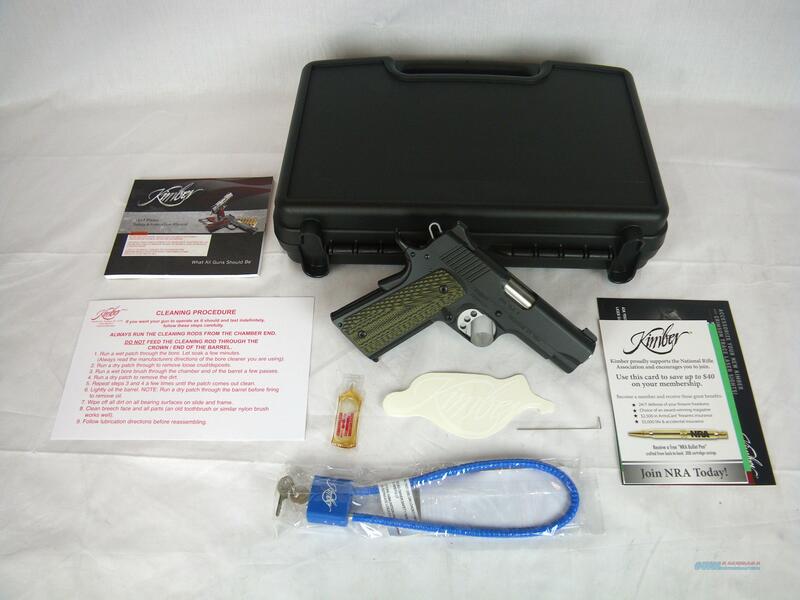 Description: You are bidding on a new Kimber Pro TLE II in 45ACP with a 4" barrel. This handgun is ideal for duty carry, tactical operations and personal defense. The aggressively textured G-10 grips and 30 lines-per-inch front checkering provide a positive grip in any condition. The low profile tritium night sights and match grade trigger round out this well balanced platform. Displayed images are stock photos. Any questions please feel free to ask (our phone number is in the additional information tab above).